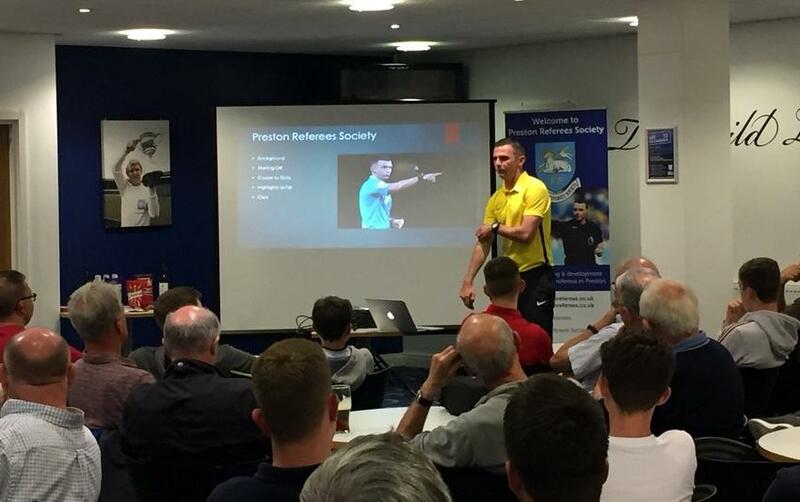 Top Premier League referee Michael Oliver gave an absorbing talk to a packed room at the Preston Referees Society September meeting held in the Guild Lounge at Preston North End. The Northumberland based official was introduced to refereeing at the age of 14 by his father Clive who was a Football League Referee. He was appointed to the Football League list of referees in 2007 at the age of 22 and he became the youngest ever Premier League referee three years later. He reached the FIFA list of referees in 2012 and the elite group of UEFA referees in 2018 at the age of 33. His presentation, which lasted for 90 minutes, was illustrated by incidents from four of his high-profile matches and he invited the room to comment on his decisions based on the incidents being viewed from different angles. 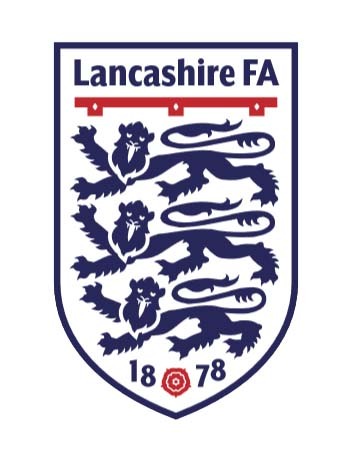 This was particularly interesting as we heard the views of experienced and inexperienced officials, assessors and club representatives. Michael also gave us a view of the life of a top professional referee, his precise training programme, regular group training sessions with the other Premier League officials and the detailed and complicated travel arrangements involved when he referees abroad on International or Champions League games which have taken him to Chile, USA, Moscow and most of the top European clubs. The enthusiastic applause at the end of his presentation showed that everyone present thoroughly enjoyed the evening and we will all watch his progress with interest.